Most large businesses have robust protections in place to prevent infection from viruses, breaches of important data, and other undesirable intrusions by outsiders. However, there is one particularly dangerous type of virus that takes advantage of the underserved and under resourced, and can either totally destroy a small business, or cost it a tremendous sum of money. It’s known as “ransomware”. Ransomware is one of the latest malicious software crazes and as the name may suggest, the primary goal is to hold your important data for ransom. Generally, ransomware is unknowingly downloaded from an email with an unsuspicious attachment or can come as a payload from another malware and dropped quietly in your system by exploit kits, after which it begins replicating on the host computer. The method by which ransomware holds your important data for ransom is simple – encryption. The virus begins encrypting your files and moving them to encrypted folders with extremely robust data protection and encryption. This is why ransomware is sometimes known as “Crypto- Virus” or “Crypto-Locker”. The data can only be unlocked by a key that the maker of the virus knows. Most forms of encryption are impossible to “brute force” by simply guessing a key or setting up a program to guess the unlock key – the time it would take to do so ranges from 10,000 years to over 1 billion years. After all of your data is encrypted (and in extreme cases, data stored on networked drives and other employee computers, or even data centers are encrypted) a pop-up will appear demanding that you issue payment to the creator of the virus, usually in the form of Bitcoin or some other untraceable payment method. The hope is that, once you pay up, the owner of the virus will give you the key. Otherwise, your files will be unusable forever. 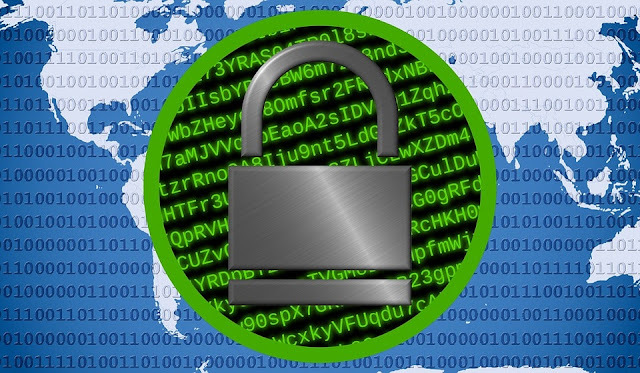 How Can Ransomware Impact My Business? Small businesses are usually the primary targets of ransomware attacks. And the reasons are not implausible. Small businesses usually lack sophisticated computer defenses thus making them very vulnerable. An overwhelming majority, some reports by Intel says as much as 80%, of these small and medium scale businesses, don’t employ data protection or email security. While it’s still early into 2017, analysts predicted that the total cost of Ransomware in 2016 could be up to $1 billion. According to the Herjavec Group, the amount paid out by victims of ransomware in just the first three months of 2016 came to a total of $209 million. Ransom demands have reportedly been for as much as $50,000, yet the average payout is $300. It’s not the monetary cost that impacts businesses the most, it’s the loss of critical data. The problem with ransomware is that it’s extremely hard to detect until it’s too late, and most companies have no choice but to pony up the cash to unlock their files. Your data is your most valuable asset – this goes for nearly every company out there. Rebuilding your data after a ransomware hack can be impossible. Because of this, a ransomware virus is easily the most catastrophic virus that a business can be affected by, especially if your business can’t afford the payment. What Can I Do To Avoid Ransomware? ● Show hidden file extensions on computers – many ransomware viruses use renamed files formats like “pdf.exe” to present themselves as harmless PDF documents, but will install malware using the .exe executable file. ● Filter .exe extensions on email. No reputable internet user will send you an email with a .exe attached – these are almost always viruses. Avoidance Is The Best Protection But If Infected - Do Not Negotiate! If you’re infected, there are some steps you can take to minimize damage, such as disabling network connectivity immediately upon realizing infection, using system restore to restore your computer, or modifying your BIOS clock to prevent price hikes of the “ransom” – but the best way to deal with ransomware is to not get infected. Sometimes the inevitable happens and if find your system has been infected, do not negotiate or pay the fee. Paying will only fuel the malicious efforts of the cyber criminals, giving them the ability to continue development of sophisticated malware threats that are easily delivered to your computer. Furthermore, paying the ransom to the hackers does not guarantee that you’ll receive a decryption key to unlock your data. We’ve seen cases where computer users pay the ransom fee is never able to unlock their computer. There's always the likelihood of hackers turning back around to come after your data again asking for more money because they now know you will pay up at the drop of a hat. So be smart about opening emails, follow the above tips, and remember – security starts with the knowledgeable users and having the best backup system and software in place. For over 15 years, the team at Circadian Force has served small to enterprise level businesses as well as IT Professionals in the areas of disaster recovery, cloud backups, & electronic vaulting. Learn more about their organization at visit www.circadianforce.com. I hope you enjoyed this article about how to understand the damaging effects of ransomware on your small business. Interested in more articles about data protection & cybersecurity?